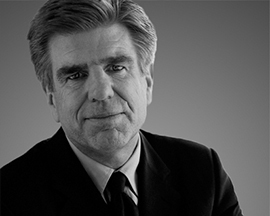 Tom Freston is a Principal of Firefly3, an investment and consultancy firm focusing on the media and entertainment industries. He is the former Chief Executive Officer of Viacom Inc., where he also served as Chief Operating Officer. For seventeen years, Mr. Freston was Chairman and Chief Executive Officer of MTV Networks, MTV, Nickelodeon, VH1, Comedy Central, and other networks. Prior to that Mr. Freston ran a textile business in Afghanistan and India. Currently, he is Board Chairman of the ONE Campaign, an advocacy organization to fight extreme poverty and serves on the boards of DreamWorks Animation, MOBY GROUP, Vice Media in New York and is also a Trustee of The Asia Society. He was inducted into the Academy of Television Arts and Sciences Hall of Fame in 2010. In 2005 Mr. Freston was cited in Time magazine’s “100 Most Influential People in the World” issue, and he has received numerous industry honors and awards. Mr. Freston writes a monthly travel column “On the Road” for Vanity Fair.